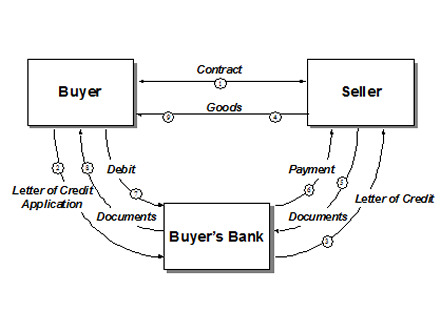 The documentation required in a letter of credit depends on the level of complexity of the transaction and the degree of security that the two parties wish to have on the transaction: security of payment, security and transparency regarding the description of the goods, security regarding the clearance of Customs, transportation process and delivery on time, and other kinds of risks related to the transaction. Document compliance must be verified - this is one important feature of the acceptance/endorsement process for letters of credit, in particular for the exporter's bank. The legal clauses of basic letters of credit are subject to regular standardization by the banking commission of the international chamber of commerce (ICC), which also provides for arbitration services. The existence of a strong and well identified collateral, and detailed documentation, make documented letters of credit one of the safest forms of lending. Such documentation and collateral are internationally recognized by commercial laws worldwide and are subject to arbitration in the case of default or other problems affecting the transaction. Step 1 The buyer agrees to purchase goods from the seller. This agreement may be a purchase order, an accepted pro-forma invoice, a formal contract, or an informal exchange of messages. Agreement is made as to goods being purchased, how and when they are to be shipped and insured, and how and when payment is to be effected. In this case, the agreement is to use a letter of credit as the mechanism of payment. Step 2 The buyer applies to his bank for a letter of credit, by signing the bank's letter of credit application/agreement form. Step 3 After approving the application, the issuing bank issues the actual letter of credit instrument and sends it to the seller (beneficiary). Step 4 Having received the issuing bank's assurance of payment, the seller ships the goods to the buyer. Step 5 The seller prepares the documents called for in the letter of credit and presents them to the issuing bank. Step 6 The issuing bank examines the documents. If it determines that the documents comply with the letter of credit, the issuing bank pays the seller. Steps 7 & 8 The issuing bank obtains payment from the applicant (buyer) in accordance with the terms of the applicant?s letter of credit agreement and forwards the documents to the applicant. Step 9 The applicant uses the documents to pick up the merchandise from the carrier, completing the letter of credit cycle. With a letter of credit a bank can neutralize a corporate customer's country and bank risk by offering a confirmed documentary credit once the customer relies on the bank's solvency, knowledge, and professionalism. By conducting export sales transactions under an irrevocable letter of credit, the seller does not have to determine the credit standing of the foreign buyer. Letters of credit are issued in many different forms from foreign banks and financial institutions. The variations are due to differences in customs and regulations of trade and finance in the country of origin of the issuing bank or financial institution. If, for any reason, a seller cannot comply with one or more conditions of a letter of credit, it is absolutely imperative for the seller to contact the buyer to arrange for one or more amendments to the original agreement. "International regulation and treatment of trade finance: What are the issues?" WTO, 2010.